The liver is a very important part of your body. It performs a lot of important functions to ensure the proper health of the body. It is located on the right side of your stomach. The most important function of liver is that it plays a vital role in getting rid of the toxins in your body. Liver also helps in burning the fats in your body. The nutrients in food are converted to essential blood components, and the minerals and vitamins are stored in your body by the liver. An unhealthy liver causes digestive issues, fatigue, obesity, allergies, headaches, and low immunity. So, you must always keep your liver healthy. 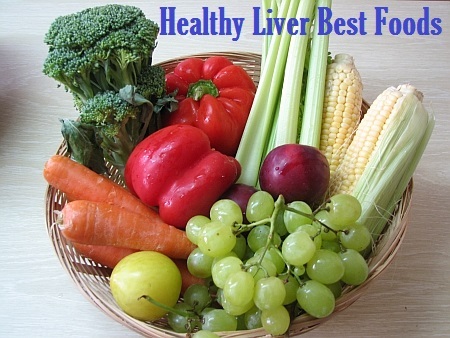 Read on to know about foods those are very good for a healthy liver. Avocados contain the antioxidants known as /Glutathione. This helps the liver in its filtering process and throws out the harmful toxins from the body. So include avocados in your daily diet for the proper functioning of the liver. “An apple a day keeps the doctor away” goes the saying. True to the saying, an apple is very useful for a healthy life and has many health benefits. It contains pectin, which helps the body in cleansing the digestive tract. The chemicals contained in Pectin are known to be effective cleansing agents. This way it helps in the cleansing process of the liver. So include an apple in your daily diet. Plant – flavonoids are contained in high amounts in beets. They are really good for your overall health. It helps your liver function well and maintains the health of your liver. Beets and carrots are useful in the proper functioning of the liver because they contain plant-flavonoids and beta-carotene. Consuming then regularly keep your liver functioning well. Sprouts of Broccoli, Brussels and other cruciferous vegetables greatly help in increasing production of the organic compound Glucosinolate in the body, which helps in stimulating the production of enzymes in the body that are necessary for digestion. These enzymes also help in preventing cancer by removing the carcinogens and toxins from the body. Cabbage is known to have beneficial effects on your liver. Including cabbages in your daily diet help in stimulating the activation of the functioning of your liver. Your liver function s well and remains healthy. Consume cabbage as coleslaw, kimchi, cabbage soup, or sauerkraut. In all ways, cabbage can help your liver work better. Garlic has got properties that stimulate your liver. This helps activate the enzymes that flush out the harmful materials from the liver. Allicin and selenium are contained in abundance in garlic. They help the liver in the cleansing process and keep your liver healthy and fit. Having green tea daily is very good for your liver and greatly improves the functioning of the liver. This is because it is rich in the plant antioxidants called Catechins. This improves the mechanism of your liver. Drinking grapefruit on a daily basis is very good for your liver. It helps your liver flush out all the toxins and carcinogens from the body. The amount of Vitamin C and antioxidants is quite high in grapefruit, which is beneficial for your health. Green leafy vegetables like spinach and lettuce are capable of neutralizing metals, chemicals and pesticides that are present in the food you eat. Even the functioning mechanism of your liver is taken care of by these green leafy vegetables. You may take them raw or in the cooked form. Some take the juice of green leafy vegetables and have it. The plant chlorophylls contained in them remove the environmental toxins that are present in your blood stream and make the body toxin free. Their special ability to neutralize the effects of the chemicals and pesticides make them an even better option. So including green leafy vegetables in your daily diet is very beneficial for your health. As you know, citrus fruits like oranges and lemons are rich in Vitamin C. Lemon helps in the process of digestion and the removal of harmful materials from the body, thus cleansing the body. For the proper functioning of the liver and have a healthy body, taking a glass of lemon juice or orange juice every day in empty stomach is very useful. Olive oil is useful for a healthy body and a glowing skin. Cold pressed organic oils like olive oil, hemp oil, and flax seed oil are very good on your liver. Consuming these ingredients in a moderate quantity daily gives your body a lipid base. This lipid base helps in extracting all harmful toxins from your body. This keeps your body clean and makes your liver healthy. Including turmeric in your daily diet is very useful for digesting the fats in the body and in the production of bile juice. It also detoxifies your body and keeps your liver healthy and functioning properly. Having walnuts regularly is beneficial for your liver as it is rich in Glutathione and Omega-3 fatty acids. They are also greatly useful in the cleansing process of the liver and keep your body free from toxins. Whole grains are very good for your body. They provide your body with all necessary nutrients and minerals. Brown rice is known to contain a large amount of B complex vitamins. They work together to help improve the metabolism of fats in your body, and also facilitate the proper functioning of your liver. Consuming foods that contain white flour are not good for your health. So, it is better to avoid such foods. Stick to all kinds of whole grains to keep your body free from toxins and improve the health of your liver. So, now you all know what all foods you need for improving the functioning of your liver. Include these foods in your daily diet and keep your liver healthy. A healthy liver keeps your body free of all kinds of toxins. Your body remains healthy.